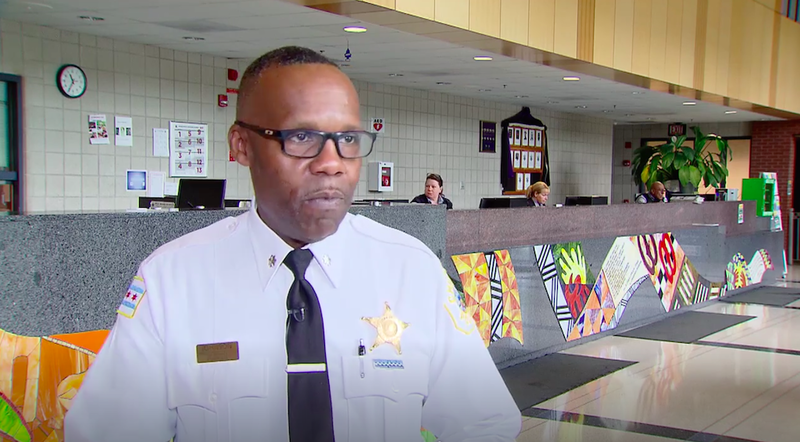 Retired police Commander Kenneth Johnson speaks to “Chicago Tonight” during an interview on May 4, 2017. CHICAGO (AP) — A not-guilty plea was entered in federal court by a former Chicago police commander charged with stealing Social Security funds in a scheme lasting more than 23 years. Federal prosecutors allege Kenneth Johnson bilked the Social Security Administration out of $363,064 from about June 1994 to November 2017. The 54-year-old Johnson entered the plea during his first appearance in U.S. District Court. The charges were filed in November. Details of the scheme were not revealed. It was not immediately determined if Johnson has legal representation. As commander, Johnson earned praise for overseeing big reductions in violence in Englewood, one of the city's most dangerous districts. The 32-year department veteran retired in August.